In June 2013, Stiftung Warentest investigated the question of whether regional food kept their promises. 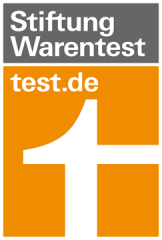 Our full-milk in the innovative one-way packaging received the best mark “Very good” in this test. We have won two titles this year. Firstly, awarded the quality prize for the VHM – Verbandskäseprüfung 2012 in the category “soft cheese”. A jury of experts examined sensory criteria such as appearance, consistency, smell and taste. Our red Brodowiner soft cheese convinced not only the experts there, but also passed the popularity test and won the audience award. The agricultural prize of the Deutsche Kreditbank AG, was awarded under the theme “Foundations for sustainable development”. The jurors praised above all our “exemplary preservation of the natural resources of life and production” and our commitment to nature conservation. Awarded by the Märkische Oderzeitung and the Chamber of Commerce and Industry of East Brandenburg for special entrepreneurial achievements: societal commitment and sustainability. Our Demeter fresh milk is of the highest quality. An eco-test carried out microbiological examinations, sensory tests and tests for harmful substances. Our Brodowiner milk convinced testers in all categories. The Ministry of Rural Development, Environment and Consumer Protection has repeatedly awarded our mozzarella as a “top quality” product. Two gold and two silver medals go from, the German Agricultural Society to, our Brodowiner full cream milk and our low-fat milk. Our salami, awarded by the German Agricultural Society, for excellent characteristics and best taste. Awarded at the Anuga in Cologne, for the introduction of our environmental and resource-saving milk bag. The Ministry of Rural Development, Environment and Consumer Protection awarded our mozzarella as a “top quality” product. Awarded by the Federal Minister Renate Künast, for exemplary marketing strategies and innovative business management. 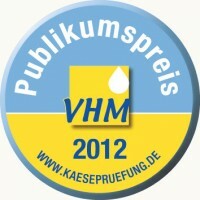 Awarded by the Ministry of Consumer Protection of the State of Brandenburg. The five-year nature conservation project “Naturschutzhof Brodowin” to investigate the impact of organic farming on nature, funded by the Federal Agency for Nature Conservation. The Federal Ministry of Agriculture allocated this flagship award to our Demeter company. Awarded for exemplary nature-oriented agriculture, product quality and marketing. The German Federal Foundation for the Environment awards Brodowin for exemplary social and environmentally friendly ideas of small communities.